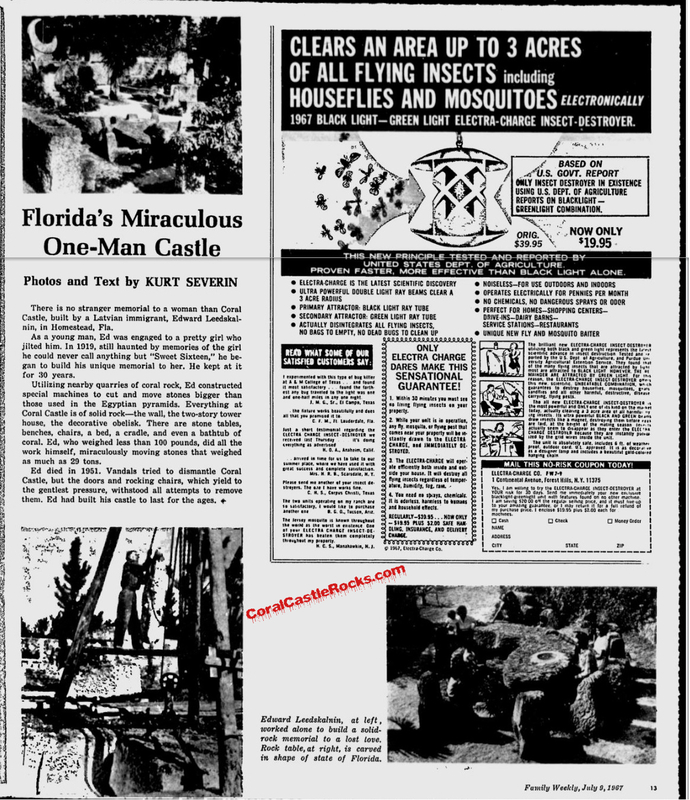 A clipping from a newspaper called "The Tuscaloosa News" published on July 9, 1967 titled "Florida's Miraculous One-Man Castle". Pictures show Ed working on a monstrous block and tackle mechanism and the Florida Table. A quote from the article "Ed died in 1951. Vandals tried to dismantle Coral Castle, but the doors and rocking chairs, which yield to the gentlest pressure, withstood all attempts to remove them. Ed had built his castle to last for the ages."